This brick home is much larger than it appears! The great room has a wall of windows looking on to the covered porch and patio area with brick privacy wall. There's a foyer, fireplace, and dining room adding to the appeal and livability. The eat-in kitchen is very spacious and has built-ins and stainless appliances. Just off the kitchen is a large laundry room with an exterior entrance. The master suite is very roomy and has a walk-in closet. There are pull down attic stairs which provide access to attic storage. 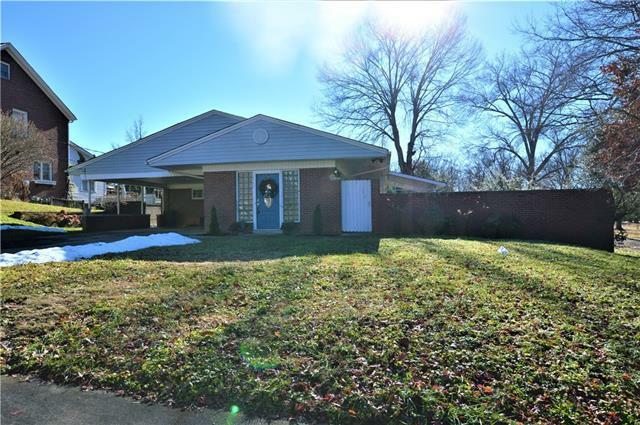 The home is located in the city with neighborhood sidewalks and is close to the school and amenities of downtown.